Celebrating one of the province’s oldest and largest industry’s, Mining Week in BC kicks off today. Events include the Teck Children’s Hospital Fundraiser, a Women in Mining Gala Reception, and business luncheons in Vancouver, Campbell River, Smithers, Prince George and Kamloops. In Vancouver there will be a Mining Week Community Fair at the Vancouver Art Gallery from 10:00am until 3:00pm on Wednesday, May 11. More than 300 students from schools across BC (and the public) have been invited to learn about geology, minerals, and the source of many household items used daily. Also at the Vancouver Art Gallery, on Thursday, May 12, check out the Mining for Miracles campaign in support of BC Children’s Hospital. A committee of mining industry executives (who formed Mining for Miracles in 1988) have been fundraising and will take part in a pie-throw – making themselves the targets – for this cause. I will compile all of the entries and draw a winner at random at 10:00am, Saturday May 14, 2011. For more information you can find the Mining Association of BC on Facebook and Twitter. Update After compiling the 827 entries, one person’s name was drawn and that is Duncan Stephen (who commented but also goes by @discostep on Twitter) – congratulations! Oooh… I would love to win an iPad 2! Also, it’s great to hear about the great work they are doing fundraising for Children’s Hospital! Sounds like a facinating week in BC. I like the idea that part of my iPad may have come from BC. Such great history in this province when it comes to mining. Love all the old stories and old pictures from way back! This post wants me to dig into my camping supplies, grab my gold-pan and head off to some beautiful stream in BC’s hinterland. It’s great that you are doing all these local awareness contests. I think it’s a great idea to use an ipad giveaway to draw attention to the many high tech uses for resources from (initially) low tech sources. Nice tie-in. I love it! What a nice way to educate the young ones about geology, minerals, and mining ! would love to have an Ipad and support BC mining. Ha, Got a geog course that this should actually help with. Mining is so important to BC’s history! Great contest! I am excited that I will be attending the Community Fair or Mining for Miracles at the Vancouver ! IPAD! i hope to win an ipad 🙂 happy mining week in bc. i think i’ll go check out wed.’s event! I just found your site, what a great contest. Great contest, my grandfather was a coal miner for many years. I still have some his mining equipment from way back. We always used to take him to Britannia Mines when he visited from Manitoba, he loved it. Would LOVE to win an Ipad2! Thanks for the chance! Same as Brian, my G-Pa was a coal miner in Sidney, NS! My family loves the Mining Museum. We go up every spring/summer. Mining is such an important industry in BC. Britannia Mine Museum looks very cool. Brilliant prize. Hope I win. Cool! Congrats to the miners! They always seem to be forgotten until something bad happens. Pick me! Pick me! I wanna ipad2 soooooo bad! This is an awesome contest! I’d love to win an iPad! It would be great to win an Ipad! I think the mining industry is very interesting and it’s nice to see it being promoted. wanna win an ipad!!! happy mining! Entering this contest for my boyfriend! He really wants an iPad, but neither of us can afford it! I always loved going to Brittania mines for the tour. It is so cool that they are trying to engage kids into an industry like mining. Way to go Miners! Lets celebrate with an iPad! Yep I am always up for winning a free ipad. I agree it is nice to take the time to appreciate all the good things about mining. Often we only have complaints about mining and what it has done to our environment in the past. Reputable companies are improving things out there. Plus I really wouldn’t want to see the state of technology or even my pots and pans without someone out there digging in the dirt. I really like the local flavour – go miners! i’l go for it and have additional knowledge from Vancouver Art Gallery. awesome & thanks! Great contest, and I learned a bit more about the mining industry! Still haven’t made it to the Britannia Mine tour yet…one day. Great promos, thanks for the offer! I absolutely love ‘super natural British Columbia’ it really is the best place on Earth!!! It’s nice to see the mining industry getting positive attention! Cool! My son is doing a project on mining in BC this week – we’ve been reading about Barkerville and were blown away by the updated Mining Museum at Brittania Beach. Amazing events happening for mining week, thanks for the info and the contest! I’d love to win this and remember fondly going to the mining museum as a kid. I saw a special about mining week in the Vancouver sun today. I went to the Mining Museum last summer and it was quite fun to check out the underground tunnels. I’ve been wanting to check out the Mining Museum for years! This would be fantastic! Would love to win! We went to the Britania Mine Museum a couple of years ago while coming back down from Squamish. It’s a pretty cool place and the tiered building you have a picture of is something that has to be seen to be believed. The sheer size of it is mindboggling and you get this strange feeling of being on a movie set for some steam punk flick. Very cool. Awesome article as per usual, rebecca!funny I was just reading about mining week on a customers site at work. Would love to win the iPad2! I would mine for an iPad! Neat to hear just what items the products of our industry end up in! Wohoo! I love to visit B.C…..and mining is cool! Great recognition for the mining industry! I don’t tweet, but I can go to Art Gallery on Wednesday! Sure! I used to work in the mining industry, believe it or not. Every time I go up to Whistler, I pass by the Britannia Mine Museum in Squamish. Mining – a big part of BC’s history. Cool, I’ll be at the Art Gallery!!! I would LOVE to win an iPad! Thanks for the chance! Ipad2 awesome! Thanks for the info on mining as well! Does the iPad have a mining app? I checked out a gold mining Museum in Balarat, Australia (West of Melbourne) that was pretty cool. Ill have to find one out here. Wow, there’s so much I don’t know about Mining! Sweet contest! Hooray for mining! This is a great prize…and educational. This is a pretty contemporary way of bringing awareness to product production. I mean the things we use are made from raw materials at some point, just like the metals in the ipad mentioned in the blog post. Hopefully I can check out the Art Gallery wednesday and thursday too! This province is rich in natural resources that make a huge difference to our daily lives! BC Mining Week is great to educate and for us to appreciate! I would love an iPad!!! A great tie in, love it! I’m mining this website for prizes! Haven’t hit paydirt yet though! wooo weee Mining Week !! I want that ipad! Would love a new ipad! Great contest. I’ve been wanting to buy one, but have a hard time justifying the cost. Winning one would be great. I wish I could be a part of the events! My father’s family were miners! How can I pass up a contest such as this? Fingers are crossed. Mining Week is a great way to keep people aware of our resource based economy. An iPad2 would be cool as well. Great tie-in, and great awareness! Love it! Everyone wants to win this one! Hopefully May 14th will be my lucky day! Woo iPad2! Britannia Mine Museum is a fabulous place to visit. i was really unaware about how big and instrumental the mining industry to BC’s economy. Thanks for promoting this. This topic is really interesting!! Wow, that’s one of the coolest giveaways from an unlikely source. My laptop is on the verge of dying so this would be fabtacular! Also, you have the best contests! I’d love an iPad 2! Oh, I want an ipad so badly! 🙂 I’ll post this on Twitter & check out their site as well. Thanks! I work in the mining industry and it rocks!!! Happy Mining Week. Would love to win the IPad 2!!! I would still like to check out Britannia Mine.. I remember the X-file episodes filmed there. I had no idea Mining was so important to present day BC! Awesome! My husband is a driller/blaster and works closely with the mining industry – love this giveaway! Worked in the goldmine near Atlin and love this giveaway! Sounds like a fun contest. Would love to win an iPad courtesy of extractive industries. visiting http://www.britanniaminemuseum.ca/ is a great one day outing for anyone in Vancouver! This draw combines my tech passions with my work interests (I work in the mining industry). Thanks for offering it! I’ve always been a fan of mining ever since I was a kid. Clearly I ended up heading down another path but still love learning about or hearing stories from friends who do work in the industry. Awesome! thanks! going to tweet it now! as ross’ backpack said, ‘geology rocks’! I haven’t been to the mining museum in years, time to revisit! This is great! 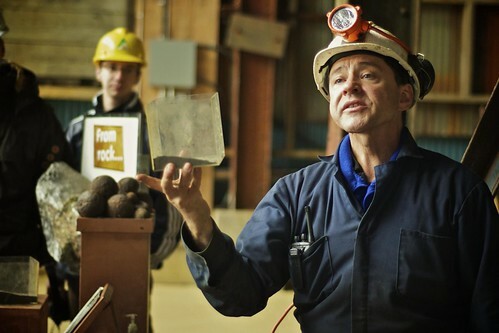 Mining is an important part of our history in BC. Cool! Great contest and wonderful opportunity for British Columbians to learn more about this incredible province! Thank you. Nice prize! First a geologist in BC now a teacher. Love it! Here’s to great communities. The Mining for Miracles event sounds like fun. And the IPad is really cool too and would love to win it. 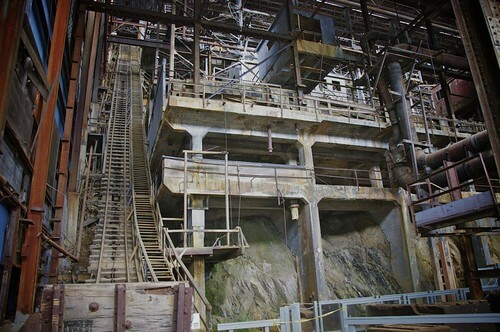 This summer I’m going to make it to Britannia Mine! Who really really needs an iPad II? Me! Me! wow . .awesome giveaway. . thank the heavens for the resource industry and China . .otherwise . .? I would love to win the Ipad. I just visited the Britannia Mine and Museaum last week! What a treat that would be to win.The mining activities would be a big hit with my 3 kids.They love family stuff on the weekends.Making memories. Yay now that would be nice to win! I’ll check out Mining for Miracles… the VAG is right across the street from the historic Rosewood Hotel Georgia! That would be a really unique IPad to have. NICE. oooh. would be so awesome to get one without lineup and checking in at all the apple stores! I didn’t notice the Ipad giveaway when I read it the first time and was puzzled at the 201 comments for a mining event. Then I reread it and it all made sense. Looks so good! Thanks for the giveaway! What a giveaway. A friend of mine just went up to Kamloops to work in a mine! BTW, that 2nd picture looks like it’d be a fun rollercoaster. Love that mine mseum on the way to Squamish! One of these days I’ve got to check out the Britannia Beach Mine Museum. Happy mining week! I î€¢ mining! Nice giveaway! Our plan is to visit the Britannia Mine this summer. Yes, the ipad is made out of metals… Cool! What an awesome contest. I would loooove to win an ipad. I’ve been driving by the museum everyweek lately but never had an opportunity to visit. I hope this will be my chance! Great Contest and awareness for kids about the importance of mining in our province. This sounds like an excellent cause and the prize is super sweet! thanks for the reminder on the importance of mining in BC – historically and present. Oh mining week, I didn’t even know you existed, now, you might be my favorite week…especially if I win an iPad2!!! I’ve been to the mining museum when I was young, really fascinating stuff! Fantastically sweet contest, thanks for the chance! We panned for gold and really did some gold mining in B.C. once upon a time…believe it! Glad to see the mining community recognized. My grandfather was killed in a mine shaft trying to rescue other miners…way back when! I would soooooo love to win an Ipad!!! Fingers and toes crossed! Almost everything we touch, from PCs to pens, relies on the mining industry in some way. Great contest! I didn’t realize the Britannia museum was so cool looking. I’ve never stopped, but think it’s about time I did! Wow. Nice prize. Count me in! Without mining, among other things, we’d have no iPads! Support ethical mining practices at home and abroad. what a great giveaway !!! Really great info about mining that I didn’t know! Great prize! BC Mining was great last year. Should be even better after renovations. I’ve stopped at the museum but haven’t done the tour. I’ve done the all tour & it was very interesting and fun, even for a girl! Doh! Wish the VAG event went a little longer on Wednesday – I’m going to miss it. Being from Prince George, I certainly respect the benefit of mining in this province. And I’d love an iPad. It’s interesting to learn about the mining community – it’s something we don’t really hear much about these days. Of course who wouldn’t want one? Great idea for promoting an industry that sometimes gets a bad rap – like ths site and events. Good job. Great idea for promoting an industry that sometimes gets a bad rap – like the site and events. Good job. Great idea for a giveaway. Great Prize! I am always happy to support the mining industry! Interesting that something as high-tech as an iPad is made in part from BC rocks! I suggest that everyone travelling to Whistler area , take the time to visit Britannia Mine Museum in Squamish. Mining is such a high risk job. Lots of praise for the miners in BC and around the world! So glad a co-worker told me about you! now following you on twitter. Would love to win an iPad and support the miners of BC. Awesome! I went to the BC mining museum every summer as a kid. Great memories…. I have always wanted to visit a Mining museum! Would like to learn more about mining. Nice! I’m glad there’s a week for miners. Great pics of the Brittania Mining Museum. Thanks for a great contest! Mining has an interesting history! Thanks for the post! Mines make me think of Cornish Pasties mmmm! I want to pan for gold. I’ve typed my finger to the bone typing prospectuses for mining companies so yeah, it’s pay back time!! I’d give the ipad to friends in a third world country so they can access the Internet. I’d like one to be “mine” – ha ha ha …..
My great grandfather was a miner. Wonderful prize! Happy for the opportunity! Love this giveaway. I checked out the I heart mining site and learned a few things! Great giveaway. Could certainly use an ipad for business. Thanks. I’m digging this mining giveaway! My mom has one of these and I can’t wait to get my own! ohhh, i want an iPad so bad. i’d totally vlog it. Probably every day. ipad2 is amazing. i want one! Awesome giveaway, hope I win! Going to see the festivities today! Headed down there after lunch! oooooohh I luv this one! Great contest. Win an iPad! Winning this would ‘make my may’ !!! Interesting fair at the VAG grounds today but I wish the weather wasn’t so wet. Integral part of BC’s identity. Fun + education = win. Great photos of the old mine – I’ve been meaning to go there. For those who really are into mining – visit Trail BC, home of Teck’s Lead/Zinc smelter – the largest of its kind in the world! I’m a huge believer in Children’s Hospital, and glad to hear of the support their getting. Cheers! Yay for miners! And ipads! Can’t wait to see if I win!!! Thank you for your posting on mining in BC. It’s easy to forget the importance of this mighty economic generator for BC. Mining and pining for an IPad, please and thank you. Best giveaway ever! I love this!! Gotta love Miss 604. I need one of these. Thanks for the great chance to win! I’d love to own an iPad2. Too broke to buy and iPad2 – winning one would be a blessing! Mining is such an important industry! I sure wanna win this! I am sooo longing for an IPAD!! Wow. Your prizes this month is amazing! This brings back memories of visiting the Britannia Mine Museum in elementary school. I have been eyeing an Ipad; maybe this is my chance! this is perfect for on the go. It’s probably time for me to take a swing up to Britannia this summer. Considering I’ve lived in the Lower Mainland all my life and have done nothing more than drive by, I’m should be ashamed. Thanks for the contest, very cool. I was planning on going up to Britannia this Sunday with my sister. Looking forward to it! We haven’t been since we were in elementary school! An iPad2 would be so cool! this seems like one of your more popular contests of late – but count me in! I’ve always wanted to check out the Britannia Mine Museum in Squamish. Maybe I could get directions using a new iPad? Grew up in a mining town – Sudbury. Wanna bring my little guy to Britannia Mine Museum and could use an iPad to keep him occupied on the drive up! Very cool contest and the Mining for Miracles campaign sounds pretty cool. Wow i’d love an ipad! Awesome giveaway…really hope that this will be the first Ipad I own! i am jealous of those who have one and now need one myself!! I have always wanted an ipad…hoping to win this contest! Mining is so important to BC’s industries! Let’s support all these initiatives going on. My grandfather and great grandfather were both miners up at Britannia mines , my dad ( who grew up on Mt Shear at the top of the mountain) says growing up in a community such as that was the best time of his life. we go back to show my kids the museum once a year so they can understand not only the importance of mining to our world..but the importance of a community. I have great respect for miners. Great promotion. Yay for mining! Yay for a free Ipad! I’m mining for an iPad 2! Great giveaway and great article. I would love to win and ipad. Go mining and iPads! This would totally be SWEEEEET. One of my favorite field trips as a elementary school student was the BC Mining Museum in Squamish. Respect to miners and what they do! Great contest, I want the iPad! what a sweet giveaway!! Thanks Miss604 & Mining BC! I agree I like the idea of the metals used possibly coming from BC, very neat. This would be fantastic to win! Thanks so much! My family was involved in the mining business in the interior years ago! It’s so awesome that the industry is reaching out and educating the public like this. A contest for an iPad doesn’t hurt either! Love the Britannia mine, want to go back and take my nephews! Wow what an opportunity. Thank you so much! Keep up the good work with local news and events. cool giveaway .. wud luv 2 win & finally turf my laptop from 2003! tweeted and entered! what a great giveaway! Down in the mine, wow what is that shining in that rock wall… OMG it’s an IPad !!! Sweet viral marketing tactic. Well done. Mining is so important in our province. Great post to spread the word! I want to play Angry Birds. I’d love a mine-y iPad! Thanks for the contest. And your work to get Sechelt on the proper place on Google Maps! Mining for an iPad… begins with digging it on-line! Proud descendant of Van Isle miners! Great contest Rebecca, good luck to everyone!